Wildlands explorer and philanthropist Doug Tompkins, who’d made his fortune by founding The North Face and Esprit, started buying and saving wildlands in southern Chile three decades ago, and accelerated his pace of land conservation after marrying Kris McDivitt Tompkins, former CEO of the outdoor company Patagonia. They soon were invited to Argentina to help save land there, too. 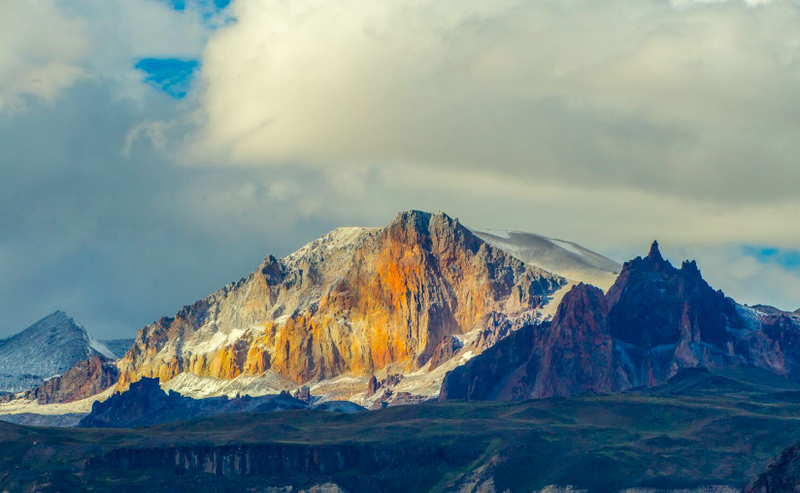 To date, Tompkins Conservation and partners have secured more than 2 million acres of wild lands and waters and helped establish or expand dozens of parks in Chile and Argentina. As Doug Tompkins, who tragically died in a kayak accident two years ago, liked to say: Large, intact, ecologically vibrant landscapes are sources of inspiration, beauty, and economic vitality for human societies, as well as the home to our wild neighbors in the community of life. 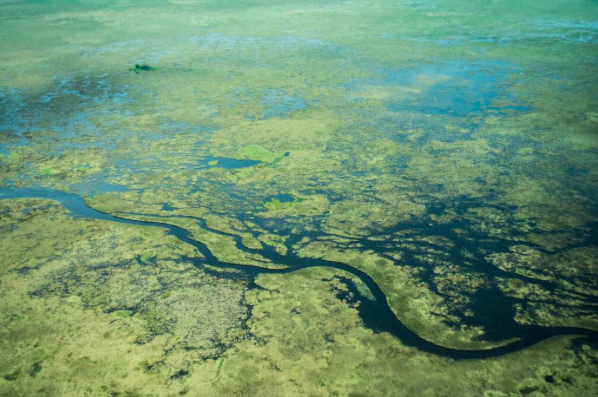 Iberá brings together a national protected area with a provincial one, to create the largest park in Argentina, comprising roughly 700,000 total hectares in total. The center of this great subtropical plain harbors the vast wetlands or “esteros”. 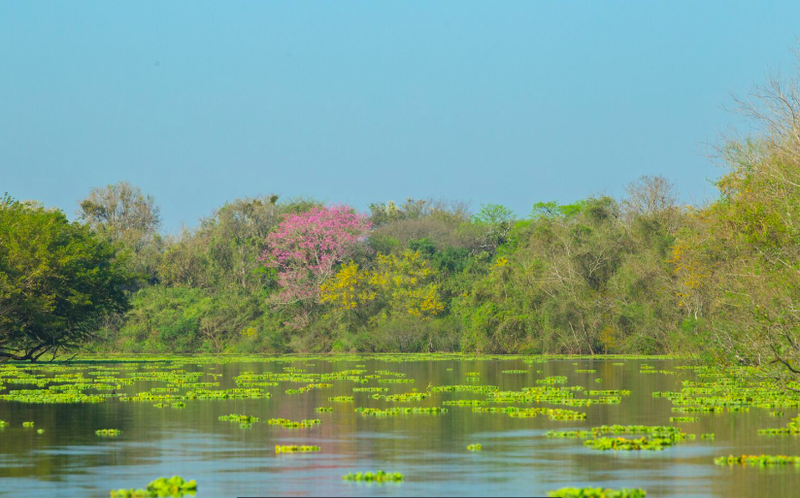 Around it, a great diversity of natural communities can be found: the alto-parana Atlantic forests, chaco forest, espinal, and open grasslands. 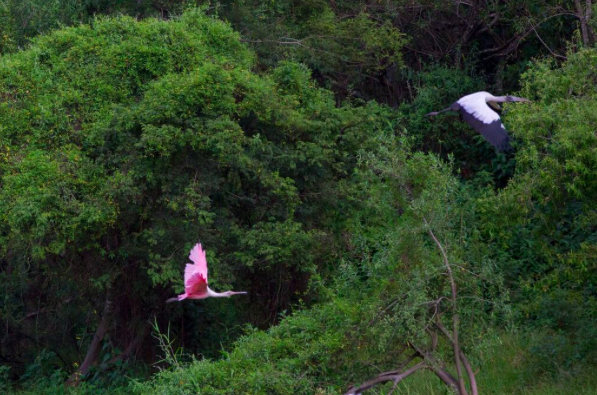 Since 1999, the Conservation Land Trust has purchased almost 150,000 hectares and already donated 80,000 to the national government to create the Iberá National Park. The remaining donation is planned for the end of 2018. Additionally, CLT worked to promote the legal protection of 1,358,500 acres (550,000 hectares) of land as a provincial park. Iberá hosts some of the largest populations in the world of marsh deer and the rare strange-tailed tyrant. These wetlands are home to thousands of capybaras and yacare caimans, while in its grasslands and savanas, greater rheas, southern viscacha, and the mysterious maned wolf, thrive. As a result of CLT’s rewilding program, the last years have seen regionally extinct species come back to their original habitat. 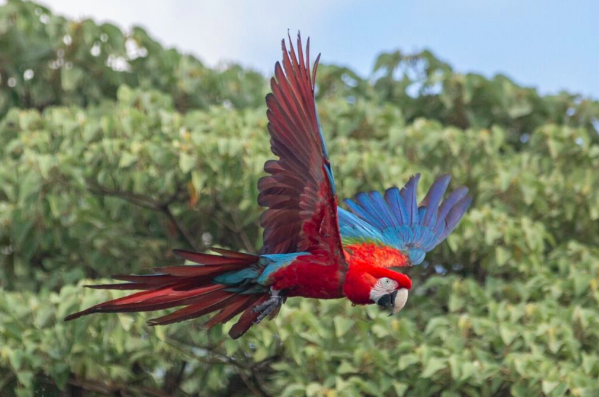 The anteater, pampas deer, tapir, collared peccary, and spectacular green-winged macaw — which bird had been extinct for around 100 years in the whole country — are helping complete the beauty of this generous land. Hopefully, soon the presence of the authentic king of Iberá, the jaguar, will be felt again. We have ongoing programs in Ibera for reintroducing almost all the regionally extinct species, including bare-faced curassow and giant otter. At the same time, we work for a thriving regional economy for three rural communities: Carlos Pellegrini, San Miguel, and Concepcion. The Chaco is the largest dry subtropical forest in the world, shared by Brazil, Paraguay, Bolivia, and Argentina. Most of this ecosystem (62%) is located in Argentina, where it has suffered systematic degradation by intensive logging, forest settlements, cattle grazing, and most significantly by conversion to soybean plantations, which has destroyed hundreds of thousands of hectares. Within the Argentinean Chaco, “La Fidelidad”, a 250,000-hectare property located in the provinces of Chaco and Formosa, represents a rare example of chaco forest in excellent condition. In 2014, after the owner of La Fidelidad was murdered, a group of NGOs led by Tompkins Conservation, through Flora y Fauna Argentina, successfully encouraged the creation of El Impenetrable National Park, comprising 130,000 hectares of La Fidelidad property within the Argentinean province of Chaco. The park is uniquely positioned to conserve ecosystems representative of the Chaco region — including Chaco dry forest, the gallery forest of the Teuco and Bermejito rivers, grasslands, and lagoons — and to act as a development engine for neighboring communities, through an ecotourism-based economy. El Impenetrable National Park supports outstanding biodiversity—including more than 13,000 vascular plant species, more than 400 bird species, and more than 120 mammal species, among them jaguar, giant armadillo, giant anteater, tapir, the endemic Chacoan peccary, and the secretive maned wolf. The five main towns surrounding La Fidelidad, each with marginal logging and cattle farming as main economic activities, could greatly benefit by the creation of a new ecotourism destination. Local residents maintain cultural values (handicrafts, music, and gastronomy) that are adapted to this harsh environment. These attributes could attract tourists, if well presented. So far, only half of the projected park has been created. Half of the property is on the northern bank of the Bermejo River, in the province of Formosa. This property is key as it would block the entrance of poachers to the park, who currently access from the north. Provincial political relations need to be developed in Chaco and Formosa. Rewilding work here will include reintroduction or augmentation of guanacos, marsh deer, giant otter, jaguar, and other regionally extinct or threatened species. A baseline inventory needs to be done. Community development will focus on training of local nature and birdwatching guides. Local towns will benefit from entrepreneurs who specialize in river guiding, photographic safari, and wildlife tracking expeditions. In July 2014, Patagonia National Park Argentina was created by Congress due to the initiative of three conservation groups, Flora y Fauna Argentina, Aves Argentinas, and Ambiente Sur. We are in the process of purchasing land amounting to 1,195,480 acres (484,000 hectares) toward the border with Chile for the expansion of the existing national park. Ultimately, we aim to create a binational park of 1.9 million acres (770,000 hectares) with a unified management vision between the Chilean and Argentine national park systems. 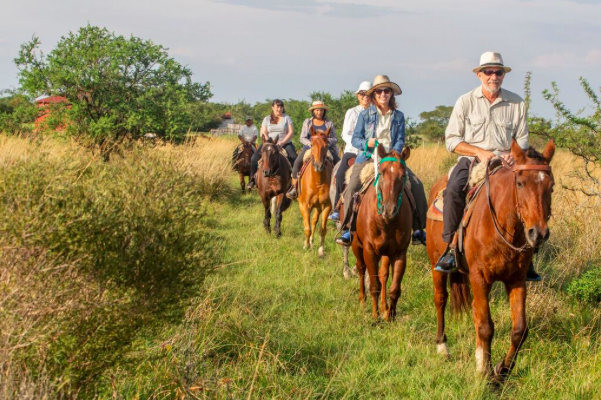 This vision includes a common approach to wildlife conservation, a shared idea of community involvement, and the development of transboundary tourism. The present Patagonia National Park in Argentina includes part of the Buenos Aires Plateau, an almost uninhabited area of harsh climate and austere beauty, holding the only flatland glacier in South America. The plateau is known as the mythical cradle of the now-extinct Tehuelche people, and contains numerous archeological sites with prehistoric remains and art. 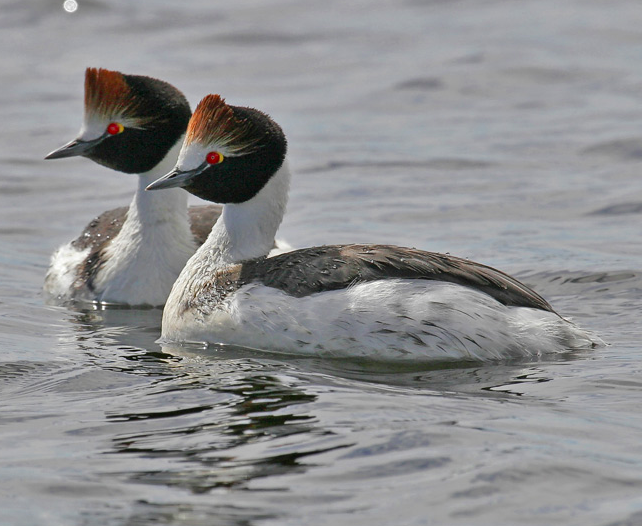 The plateau is also the core habitat of the critically endangered hooded grebe: monitoring and recovery programs are being implemented for this rare aquatic bird. Patagonia National Park is expected to develop into a major tourism destination and economic development tool for four local communities. The future expansion of the park includes an already acquired property that includes a World Heritage site, Cueva de las Manos (Cave of the Hands). Along the Pinturas River, where the cave is located, at least 70 archeological sites are known, recording continuous human presence for more than 8000 years. A binational tourism circuit should provide a wide range of recreational opportunities with minimal infrastructure in order for visitors to experience a landscape largely untrammeled by humankind. 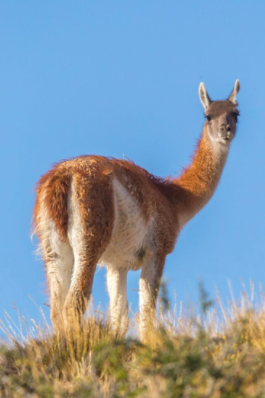 For Patagonia National Park, we will build a local rewilding team to work on guanaco translocation and install trap cameras to understand puma behavior. This team will also work to eliminate exotic species that threaten the hooded grebe. Community development here will include working with Lago Posadas community, which is isolated and dependant on tourism. 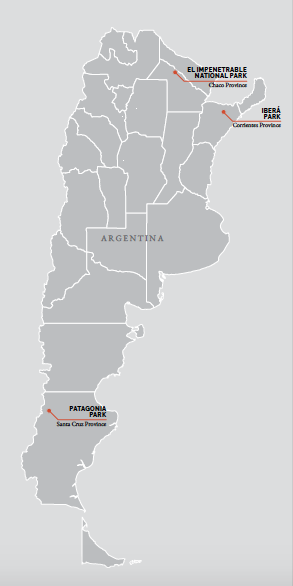 In the northern coast of Golfo San Jorge, on the Patagonia coastline, there is a small interjurisdictional marine coastal park called “Patagonia Austral.” It is one of the only marine coastal parks in Argentina, and it urgently needs to be enlarged and recategorized into national park status to effectively protect this region of land and sea. 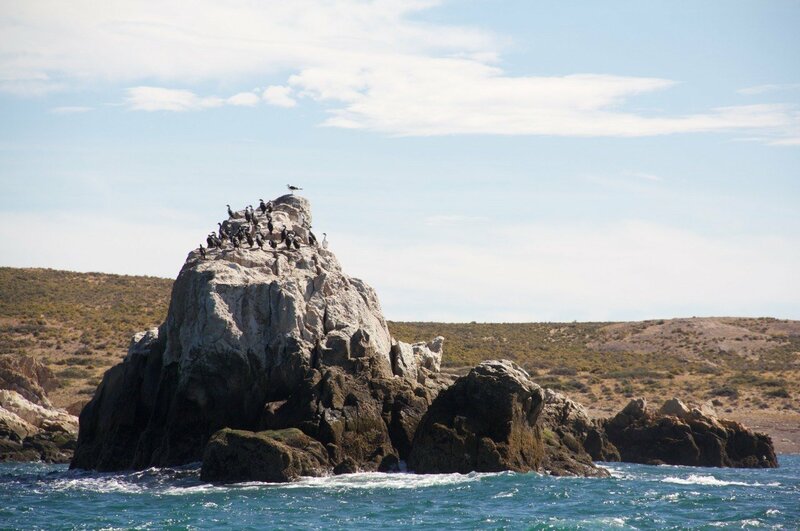 The proposed future Patagonia Austral Coastal National Park would include more than 200 kilometers of irregular coast and more than 60 islands where many migratory birds nest. The terrestrial ecosystems contain representative samples of the Patagonia steppe, with numerous streams and temporary lagoons, which increase locally the diversity of birds and insects. Of the 16 marine bird species that nest in Argentina, 13 raise their young here, in 21 breeding colonies with 1 to 7 seabird species each, including blue-eyed cormorant, rock cormorant, the endemic Chubut steamer duck, and Olrog’s gull, considered to be an internationally threatened species. 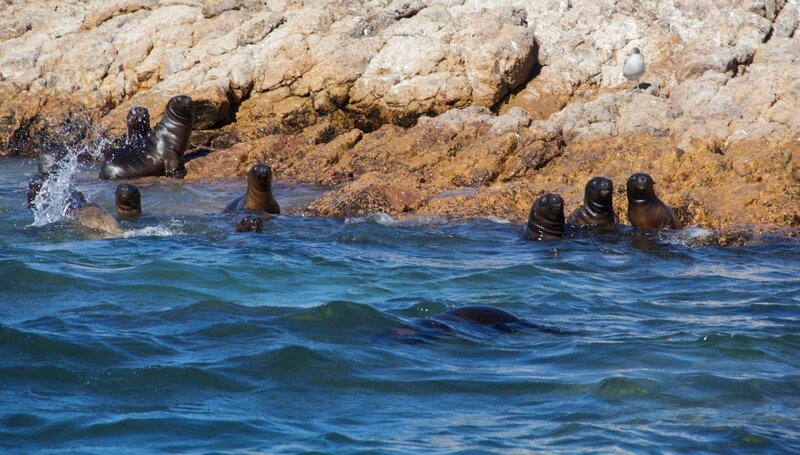 The sea lion colony on the islands has up to 4000 individuals, representing around 20% of the total population that inhabits the San Jorge Gulf area. The richness of the area also attracts orcas and dolphins. Guanacos, lesser rheas, Patagonian maras, and armadillos also inhabit this diverse area. Our goal here is to enlarge and recategorize the interjurisdictional Patagonia Austral Park, creating a national park that extends at least six miles into the sea and six miles inland. 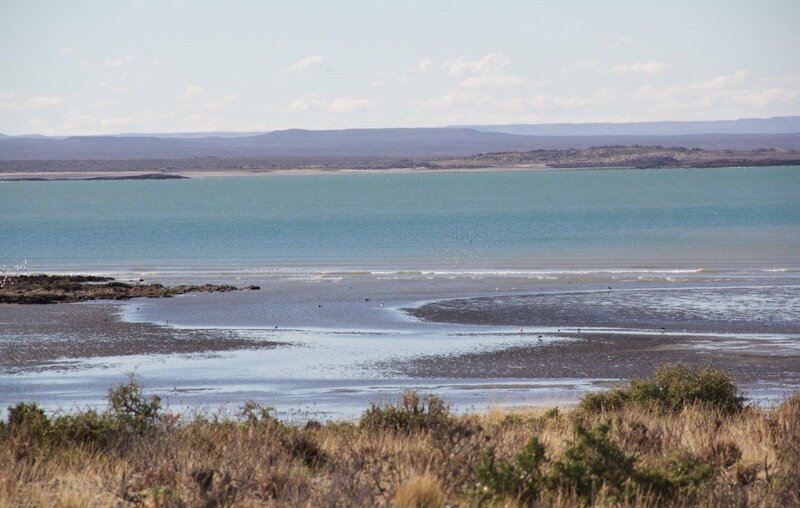 We will work to recover native wildlife species and restore key ecological processes, with special emphasis on intertidal marine ecosystems, in such a way that this park spills wildlife over neighboring areas of Patagonia, sea and land. Community development will include working with the community of Camarones (1500 inhabitants) to create a next economy in the area. In 2017 CLT expanded its focus beyond terrestrial parks and began advocating for marine protected areas (MPAs) in Argentina’s exclusive economic zone. Since then, we have successfully advocated for the creation of marine national parks as a conservation designation and campaigned for the first two marine national parks in the country to be established in law. We are developing a campaign to educate the public and policymakers about the proposed Marine Blue Route, which will include four marine-coastal protected areas along the Patagonian coast. 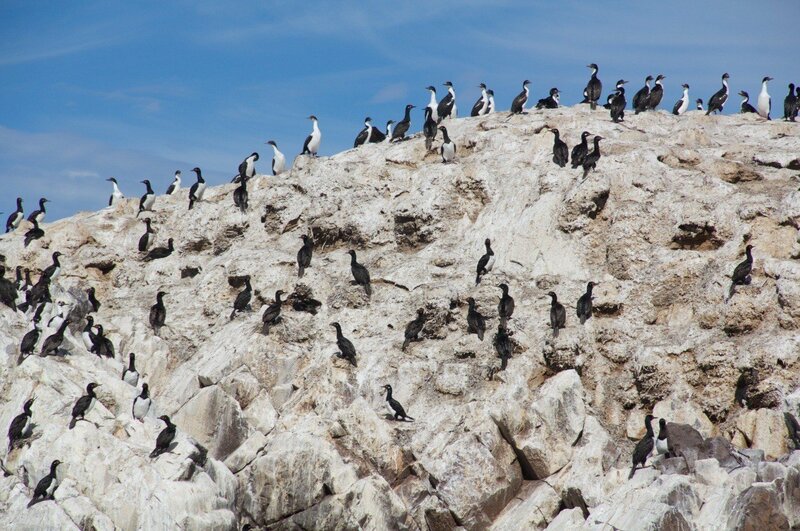 This route includes one of the greatest Magellanic penguin colonies and is of great importance for seabirds and mammals. While individual countries may legally control the waters within their exclusive economic zones, the oceans and the diversity of life they sustain know no borders. And thus we dream to create the first bi-oceanic marine protected area in the world. The Patagonia Bi-Oceanic Corridor would cover the waters from the already announced Cape Horn MPA in Chile to the Burdwood Bank MPA, including the Blue Whale Sanctuary and the future Yaganes MPA in Argentina. Eventually the Tompkins Conservation marine program will advocate for protecting the high seas, beyond the 200 mile zone of national concern, taking advantage of the international debate about this subject that is being led by the United Nations. The waters beyond Argentine jurisdiction are hotspots for illegal, unreported and unregulated industrial fishing, which is seriously depleting ocean life and health within Argentine territorial waters. 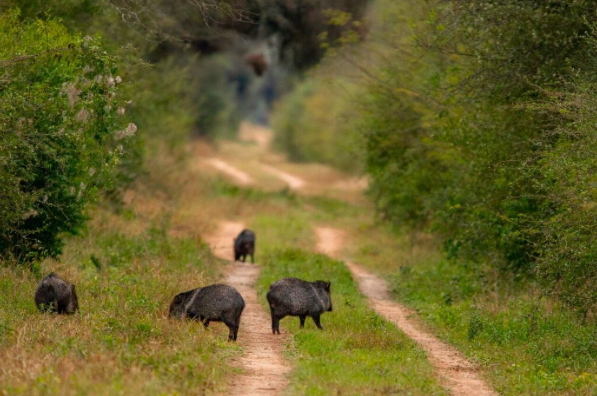 In short, the Conservation Land Trust is carrying out in northern Argentina the most ambitious project of multispecies reintroduction in South America. After twelve years of experience with reintroducing extirpated wildlife in Iberá, we are certain that this is a great conservation strategy to help degraded ecosystems heal. This is especially true in Argentina, where most protected areas no longer sustain their full complement of native species. Many bird and mammal species have been lost. Thus, we want to escalate rewilding strategy to a national level and create a culture of active ecological restoration across the country and beyond. 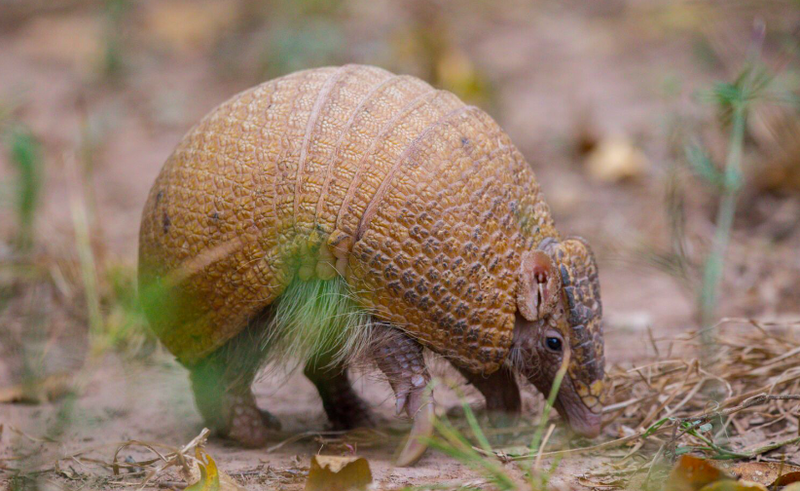 We need to recover populations of jaguar, pampas deer, guanaco (in northern Argentina), marsh deer, tapir, giant and southern river otters, collared and white-lipped peccaries, south Andean deer, anteater, green-winged macaw, harpy eagle, and bare-faced curassow. To achieve this, we need to strengthen the rewilding team, and we need to keep changing the culture in the public administration, mainly the National Park Administration and the Ministry of Environment, so that they support and pursue proactive conservation efforts. First of all, we would love to receive you in our lodge, Rincon del Socorro in Ibera so that you can experience the whole proJect and fall in love with the place and its wildlife. To make reservations, please contact ibera@dyt-central.com.ar. Currently, the argentine programs are partly financed by different NGO’s and private donations. But dreams are still big, so we are looking for new partners that would like to join us in our rewilding work in Argentina. Any donation is helpful and gets us closer to our conservation objectives.